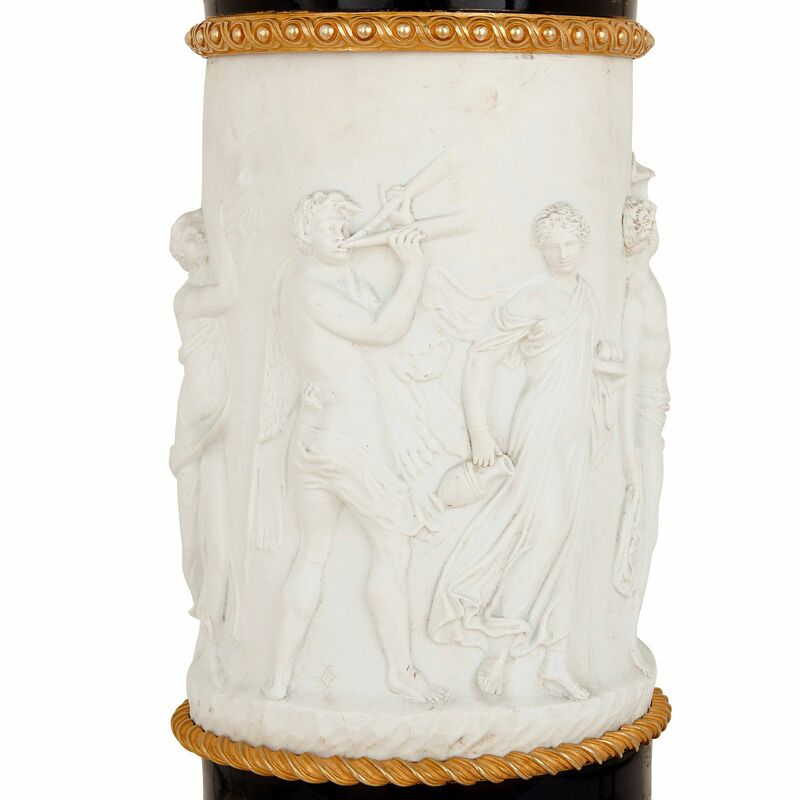 This is an extremely rare and exceptionally detailed pedestal, beautifully combines fine materials, including biscuit (or bisque) porcelain and ormolu. 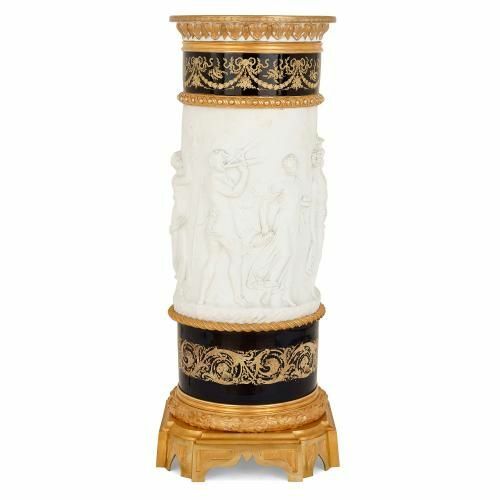 This unique pedestal is crafted from a combination of glazed and unglazed porcelain, mounted elegantly with gilt bronze. 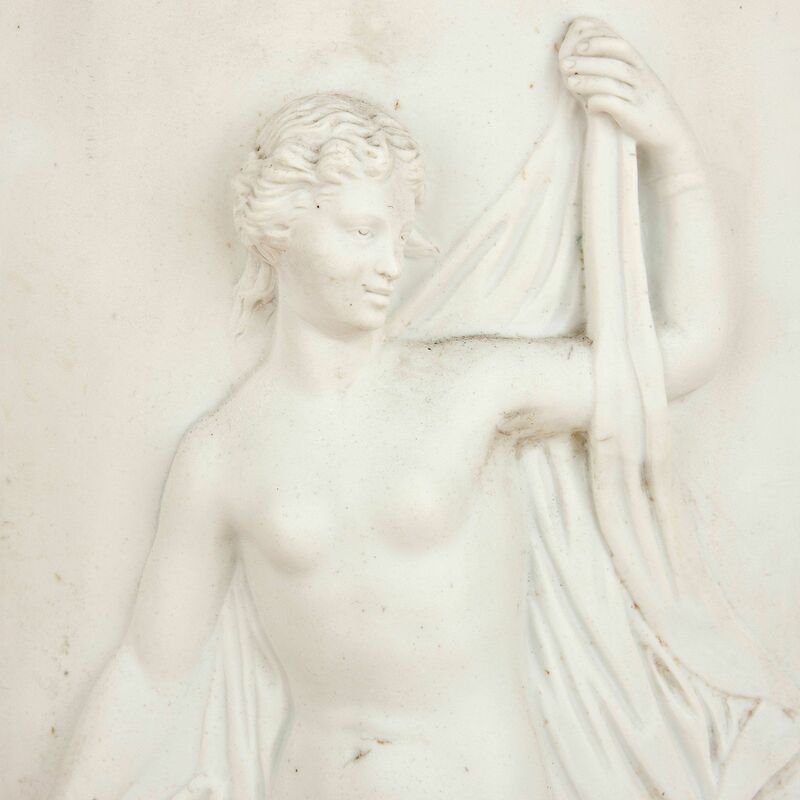 The unglazed porcelain - known as biscuit (or bisque) porcelain - is white in colour and has a matte finish, contrasting beautifully with the shiny glazed porcelain, which has a dark blue ground, in the Sevres style. The pedestal was created by the ceramics firm Samson, Edme et Cie, one of the most important French porcelain makers of the 19th Century, renowned for their works in the style of Sevres and Meissen. 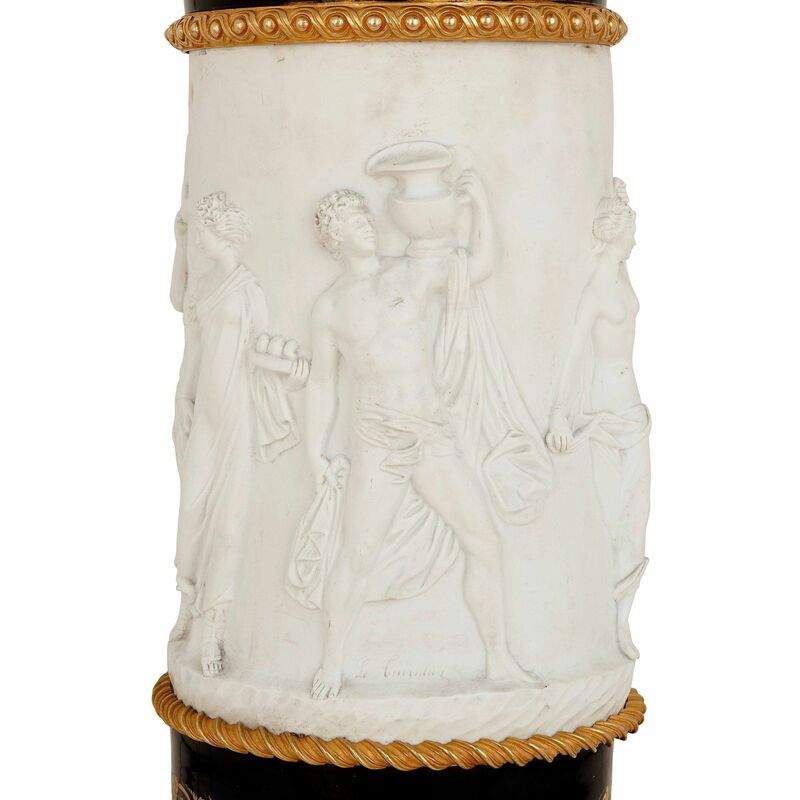 The pedestal is of typical, cylindrical form, and features a central bisque porcelain relief scene of Bacchanalian figures who play pipes and engage in merriment. The relief is set between friezes of glazed blue porcelain, decorated in gilt with flowers, swags, scrolls and acanthus leaves. 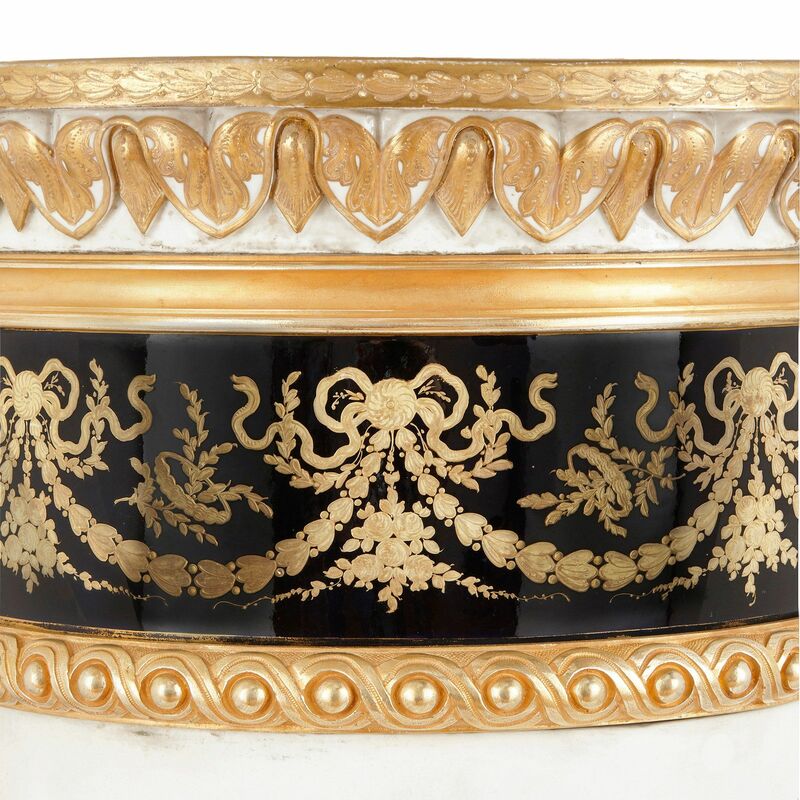 The pedestal is set upon a square form gilt bronze base banded with intricately cast leaf motifs, and features a gilt bronze mounted top. 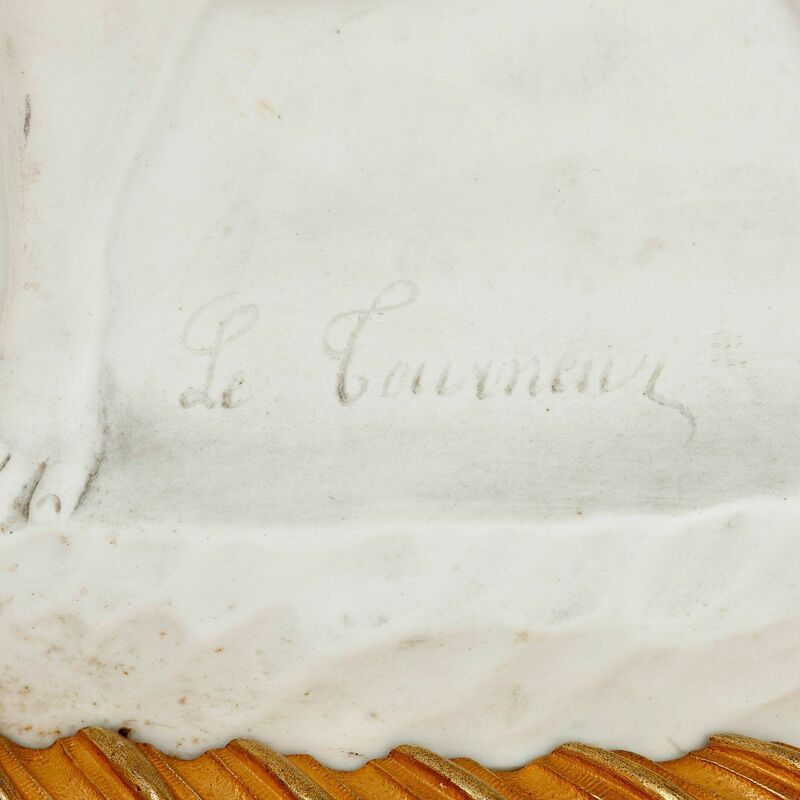 The bisque relief bears the signature 'Le Corneur' to the lower section, and the relief is taken after a work by Clodion, the renowned French 18th Century sculptor who inspired many 19th Century works. 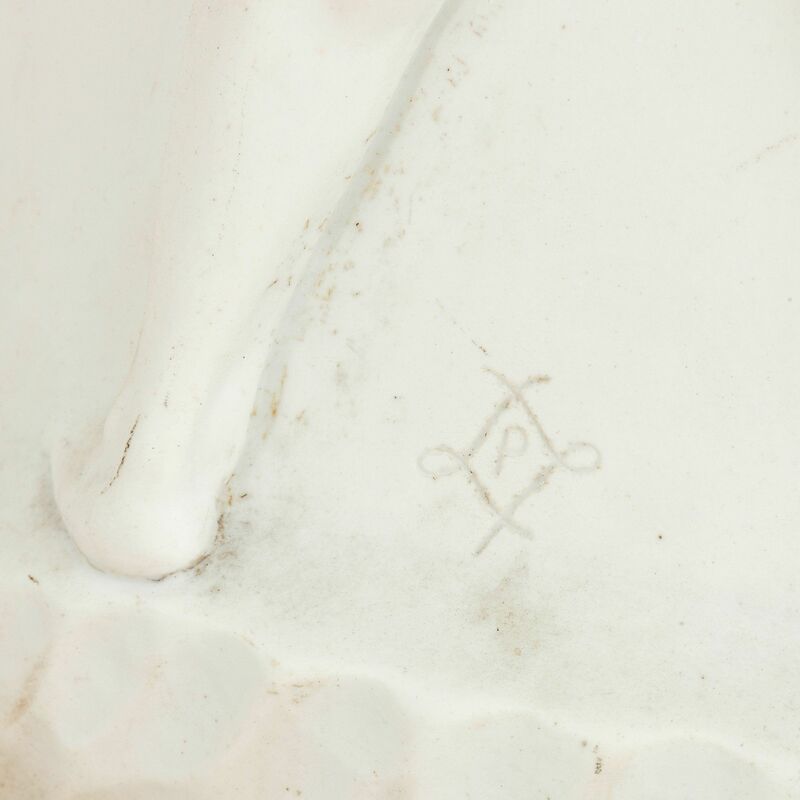 The bottom of the pedestal is also marked with the interlaced 'L' for the Sevres manufactory.